When you write an article asking for a key element to be removed from the Zelda series, you’re pretty stupid if you’re not expecting some controversy. Trust me, we know here at Zelda Informer because we’ve seen it done, thanks to Nathan’s ’Ganondorf – Goodnight Sweet Prince’ and ’Long Live the Triforce… Or Not’. Interestingly, in games such as Majora’s Mask and Spirit Tracks we’ve played great Zelda titles featuring neither of these two key elements. I mean, considering the series is called ‘The Legend of Zelda’, potentially the only necessary element is a Zelda. So when some guy comes along and starts making a claim that the Zelda series could survive without Link, you’ve got something interesting to look at…or something utterly ridiculous. Okay, so we know that it’s called The Legend of Zelda. The story of Zelda, or many Zeldas we should say. Why it’s called that, who knows, but it is. Zelda is the central element, and has to be involved in every game, and has been, sometimes briefly as flashbacks and sometimes as Marin, but hey, close enough. Then there are some secondary elements that are fundamental to the series. There’s Hyrule, The Triforce, Ganondorf… and um, yeah Link I guess, but not really. Link has been there in every game, even though the other elements come and go. While people may not like the notion of removing Ganondorf or the Triforce forever, there’s nothing wrong with the occasionally game that has a new villain, has no Triforce, and happens outside of Hyrule, as we’ve often seen throughout the series. By the power of elimination, I now comes to Link’s turn to sit a game out. Anyway, who is Link really? What defines him? It’s not like he’s a single character that players have come to know over the last 20 years. He’s not like Samus: there’s at least seven different Links! Link has been an empty shell, which the players fill. Players give Link their name, and with him never speaking, and only really showing some personal emotions in more recent games, Link adopted the player’s personality. Some detrimental character he is. Seen as there has been so many, we could question whether their names really are Link or that’s just what the hero is known as for the sake of the game. Sure, maybe it was Link in Ocarina of Time, but then Steve in The Wind Waker and Marty in Twilight Princess. 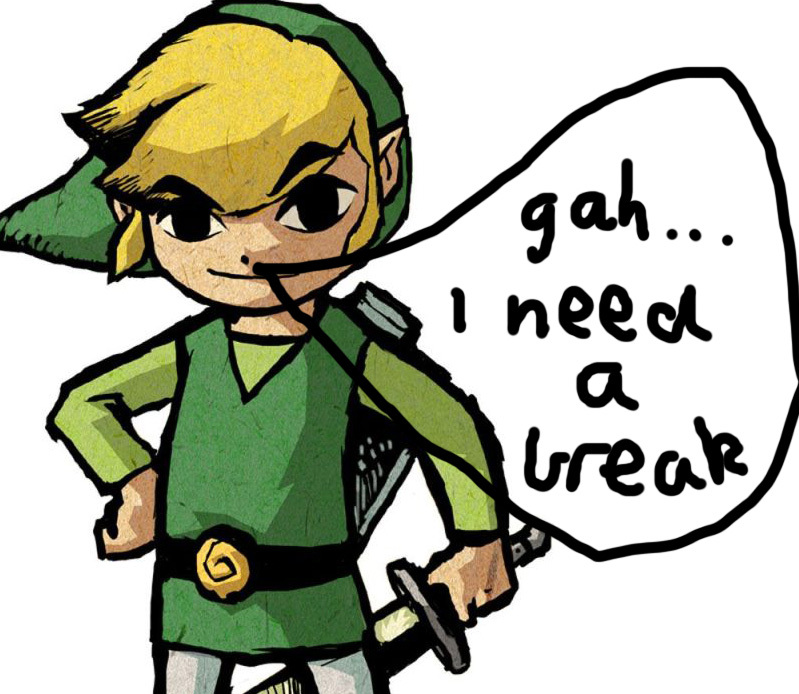 That would sort of match with Tetra being Zelda. Just if they’d been calling her Zelda from the start, that would’ve sort of spoiled the whole of The Wind Waker’s story. Why can’t Zelda Wii start with a hero called Thomas, who is later revealed to be Link? Perhaps, most notable is the very definition of Link. Link is a young lad clad in green who saves the day. Sure, so that guy in The Wind Waker second quest isn’t Link, or anyone who chooses the blue or red garments from Ocarina of Time isn’t playing as Link. Ridiculous, yeah, but so is the fact that Link isn’t really anybody. Make a Zelda game, dress up the protagonist in a tunic, preferably green, make him look like Robin Hood, give him a bow and arrow and let him find the Master Sword. There you have, any random guy who could or could not be a Link. In seriousness, consider the possibilities. 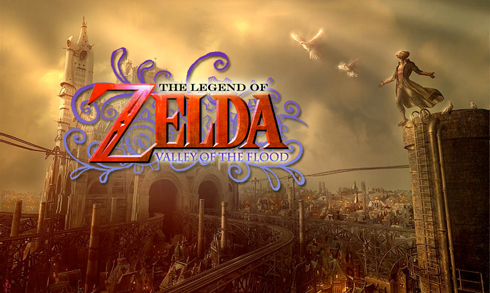 No-one, including myself, was impressed by the supposed antagonist of the hoaxed “Valley of the Flood” Zelda title, although if it had been real it would have been pretty interesting. So we don’t want to see some guy who thinks he is Link. Sure, okay. What about we play as a Zora hero, or a Goron hero, or a Deku Scrub… oh wait, sorry, I should probably stop describing Majora’s Mask. They were still all Links though. What about the young Zora hero Prince Ralis, or that sneaky Gerudo chick who is against Ganondorf behind his back, but not Nabooru? Now there’s some good protagonist ideas! Will it happen? It’s unlikely. Is it possible? Hell yeah. Link isn’t entirely necessary. Throw the world into chaos with Zelda needing help and anyone can be the hero. It’s probably best to keep Ganondorf and the Triforce related only to Links, but not that it would make a difference if Joey got to slay Ganon this time around. If Link was so necessary it would be called The Adventure of Link, just like the second installment of the series, not The Legend of Zelda. It’s about Zelda, not Link… whoever he is.